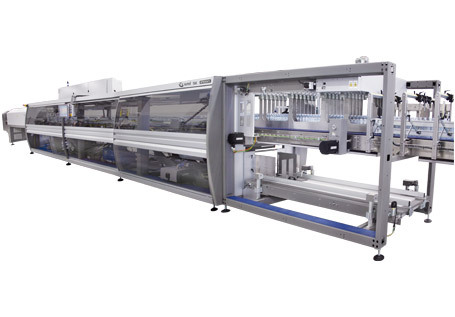 The SK ERGON series is composed of automatic shrink wrapping machines for packing plastic, metal , cardboard or glass containers. 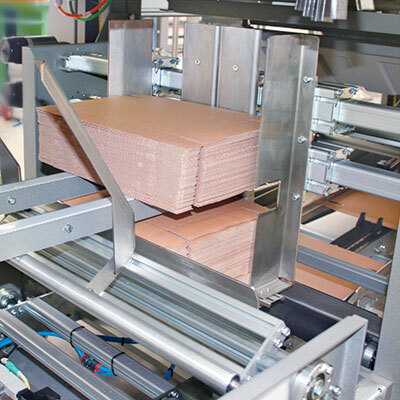 Depending on the model chosen, they can make packs in film only, cardboard pad + film, tray only, cardboard tray + film. 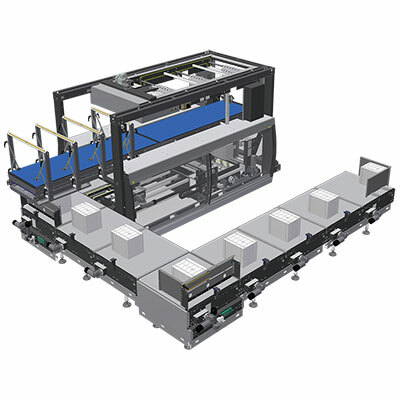 The SK ERGON series packers can achieve an output up to 450 packs per minute (can packs in triple lane), depending on the machine model and on the product to be packaged. 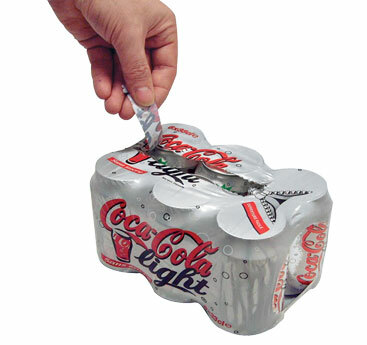 The pack collations can vary according to the container shape and size. In general, the most frequently requested collations are: 2x2, 3x2, 4x3 and 6x4. 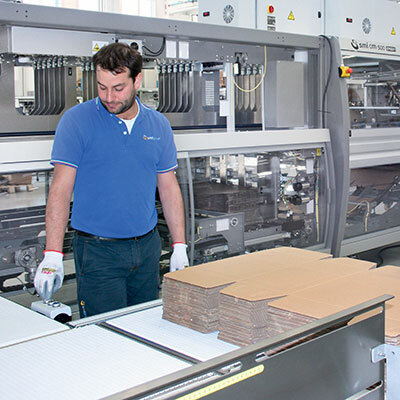 All SK ERGON models are equipped with an electronic grouping device and are available with single or double lane, according to the customer’s exigencies. 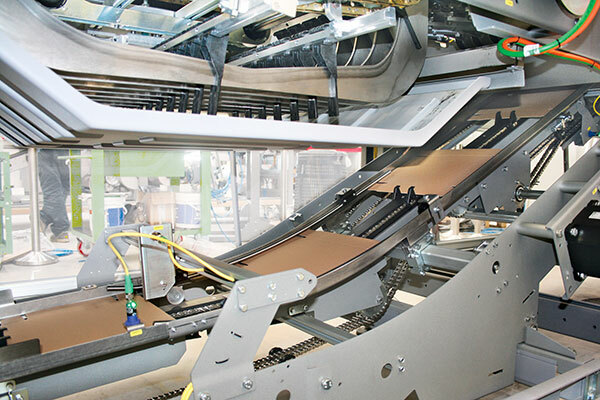 1In the machine infeed zone, a group of guides accurately lines up the loose containers carried by a conveyor belt featuring low-friction chains made of thermoplastic material. 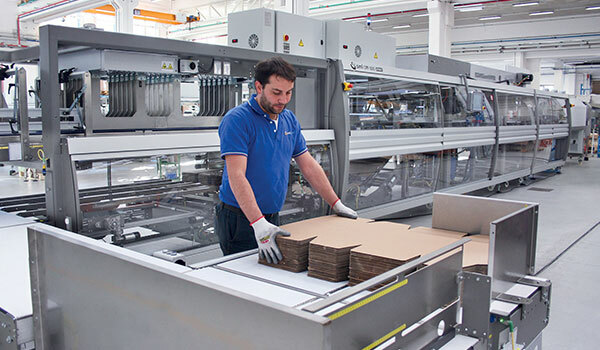 In the pack formation zone, the containers are clustered in the required format through electronically synchronized combs and dividing bars, operating in continuous motion. 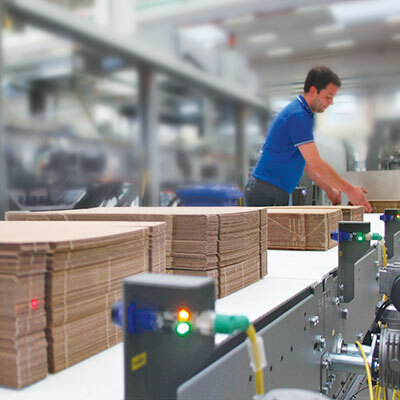 2In P and T models, a corrugated cardboard pad or blank is picked from the blanks magazine by a rotary picker composed of two groups of vacuum suckers. 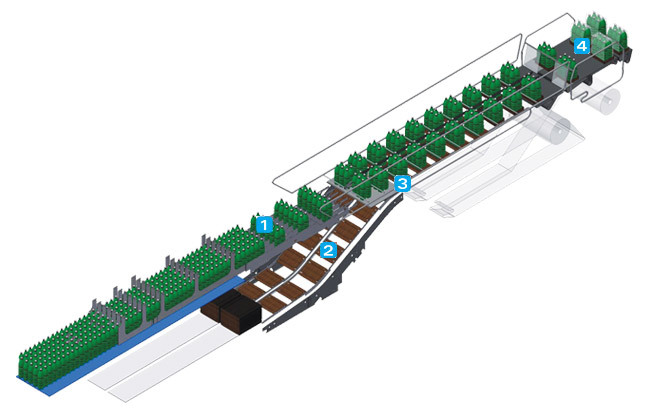 The pad or the blank moves along the blank climb and places itself underneath the group of products in transit with the long side leading. 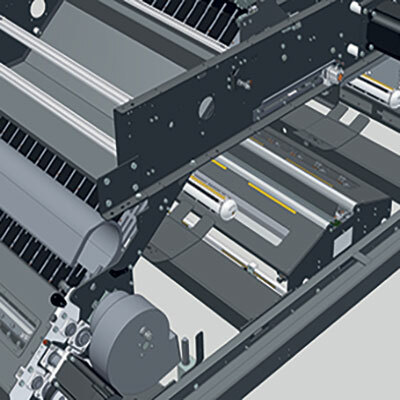 4The unwinding of the film reels, placed in the lower part of the machine, is controlled by a dedicated device ensuring the film precise and constant tensioning. 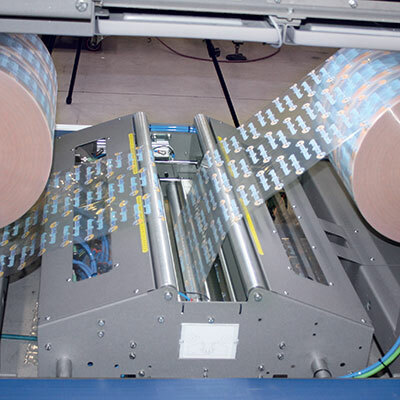 Before the pack enters the shrinking tunnel, the film is wrapped around the container batch and overlapped at the base of the pack. 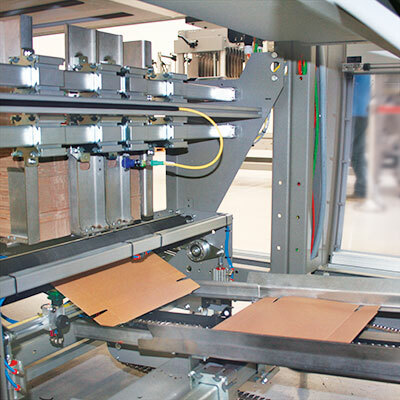 The Easy-Open system can be installed both on the SK shrinkwrappers and on the CM combined packers. 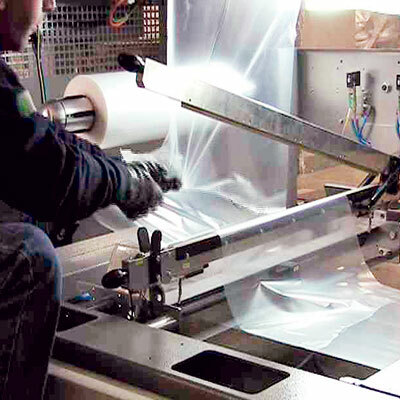 It consists of a device piercing the film during the cutting operation, in order to create the required mark. 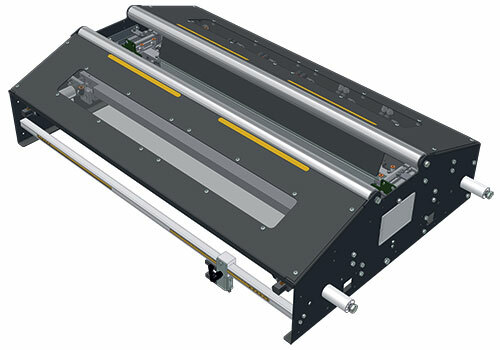 It can pierce two types of marks, “X”-shaped and “H”-shaped, and is available both for single and double lane production. 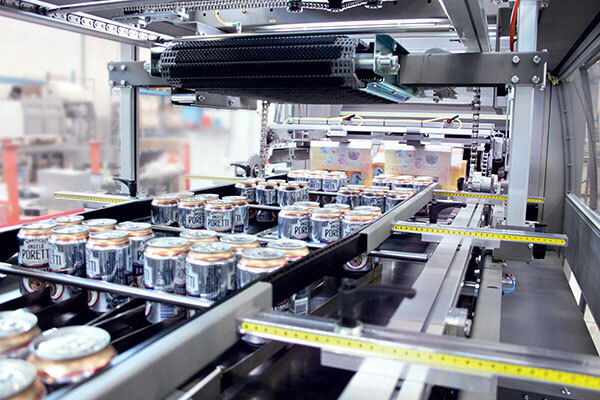 Thanks to the Easy Open system, the customer’s level of satisfaction is definitely improved, because of the easier opening of the pack. 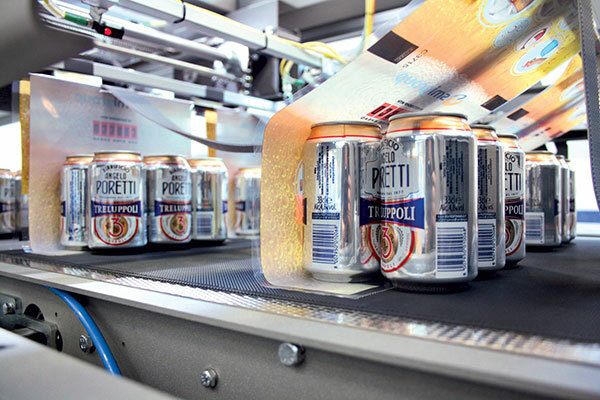 Moreover, this application does not require any specific packaging materials and, therefore, allows to obtain eye-catching packs without additional costs. 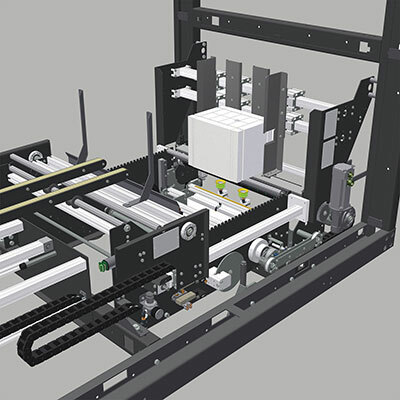 SMI customers can now upgrade their SK and CM packers with an innovative film welding device. The “film welding device by heated blade” joins the edge of the film reel about to end with the beginning of the new reel while the machine is running, with no need to stop production. 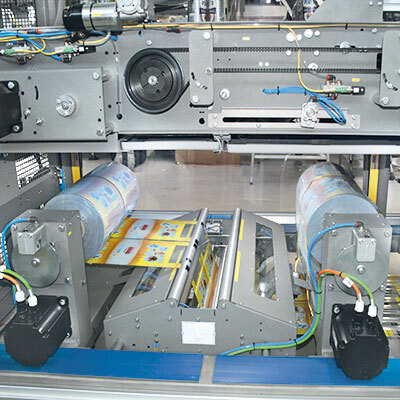 The machine slows down and the film (printed or neutral with reference mark) is automatically joined; the machine is immediately back to running at full pace. 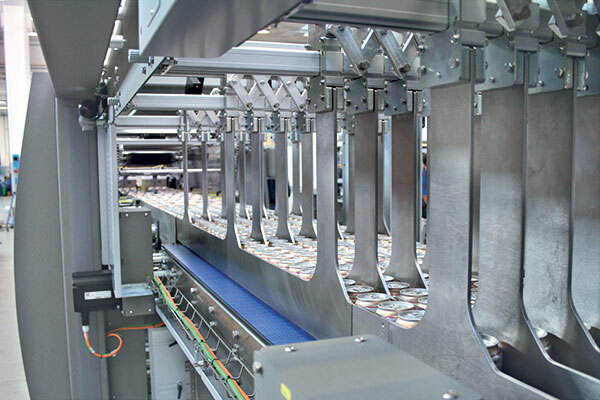 The new system allows dramatic cuts on energy and maintenance costs compared to traditional hot sealing method, as there are no more sealing rollers to be kept at a consistent temperature. 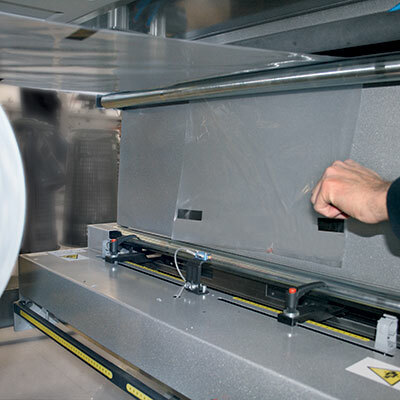 The sealing precision of printed film or neutral film with reference mark is higher, with +/-10mm margin from the reference mark. 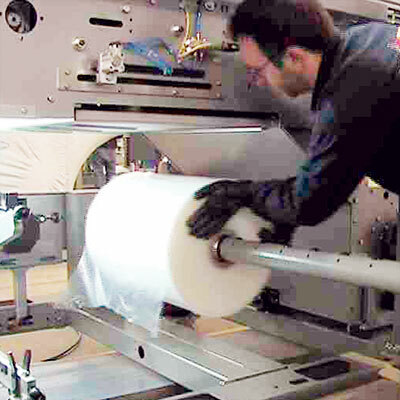 The "film welding device by heated blade" can handle also no-collant film.